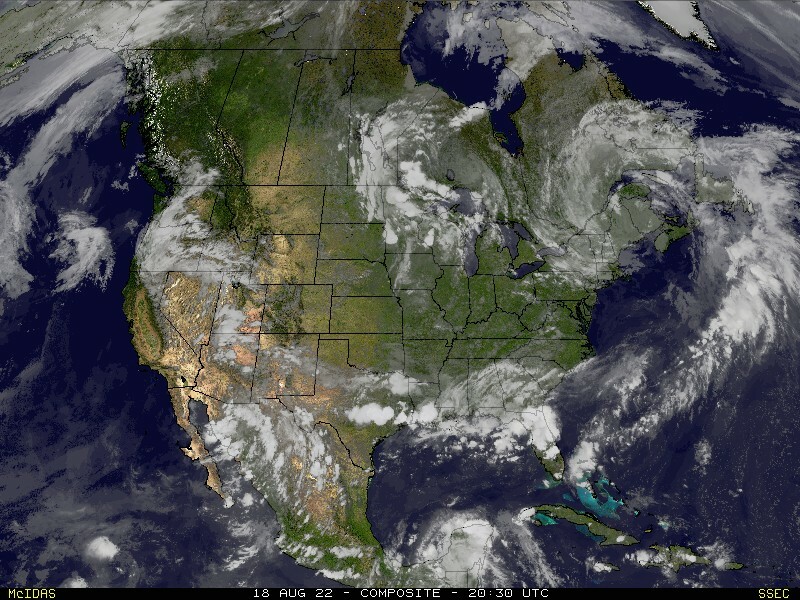 If you are looking forward to the start of the Major League Baseball season Monday and plan to watch/go to the Cardinals' home opener, don't get too angry with the weatherman. The weather is looking pretty lousy for opening day in St. Louis. Lousy as in COLD, not rain. Temperatures are expected to in the upper 30's Monday in St. Louis. Winds will be gusting around 30mph. It will be overcast and there could even be some snow showers. According to Chad Fryman, first pitch Monday is set for 3:05pm CT. My early estimate as to the temperature Monday afternoon around 3:00pm would be 38 degrees. 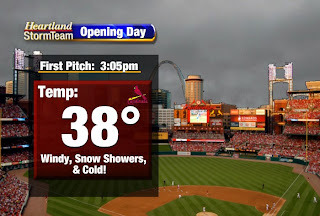 Chad will be going up to Busch Stadium for Heartland Sports and Heartland News live coverage of opening day. I told him he might want to take a scarf, gloves, a hot water bottle, etc. By the way, this is a new graphic I made tonight during Heartland News at 10:45pm. We will probably be using it this season when we have time to highlight a Cardinals' baseball game. What do you think? to lauren keith, congrats on the national news!